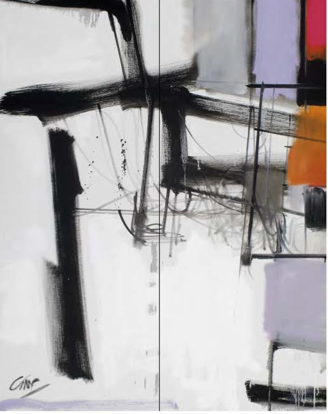 DENVER – Oct. 31, 2014 – “Paintings for Airports” by Colorado painter Craig Marshall Smith will be on display at Denver International Airport from Nov. 5, 2014 through April 2015. The temporary exhibition will be installed at the Y-Juncture Gallery located past the A-security checkpoint and passenger bridge, leading to the A Gates. DIA’s Art and Culture Program administers the City and County of Denver’s “one percent for art” ordinance which enhances public places and features nearly 30 site-specific works including sculptures, murals and other installations. The pieces are displayed in outdoor landscapes, inside Jeppesen Terminal and on airport concourses, as well as in the train tunnels and on the train itself. In addition to its permanent art collection, DIA curates temporary exhibitions, collaborating with museums, cultural institutions and arts organizations to present the highest quality two- and three-dimensional work. For more information, visit www.flydenver.com/art. DIA was named “Best U.S. Airport for Art” in USA Today’s “10Best Reader’s Choice” travel contest in 2013. The category focuses on how airports have been transforming from utilitarian hubs of transport to spaces with beautiful works of art, great restaurants, comfy lounges and terrific shopping. DIA was selected by readers as the favorite among 20 airports nominated by the publication.